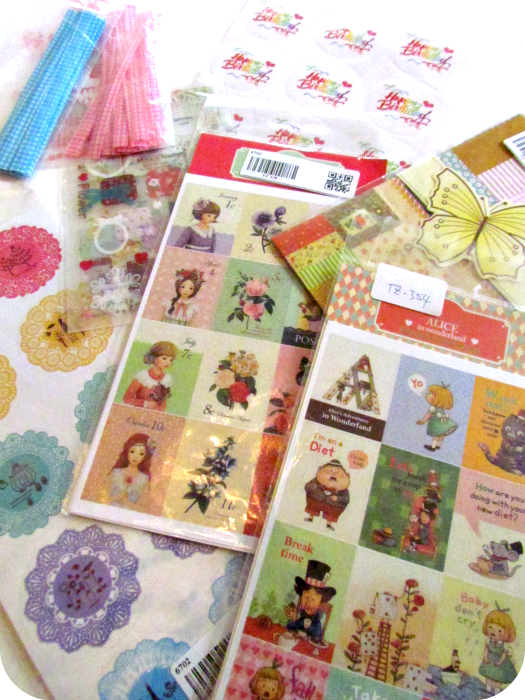 Just look at all of the fun stickers I got from Wholeport last month! They're all so cute! But I'm not 12 years old, what am I supposed to do with a stash of stickers??? 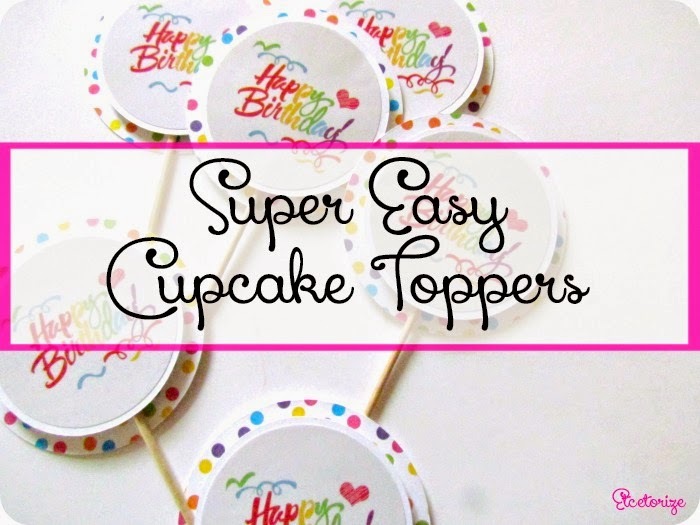 How about using them to make the easiest Cupcake Toppers ever?!?! 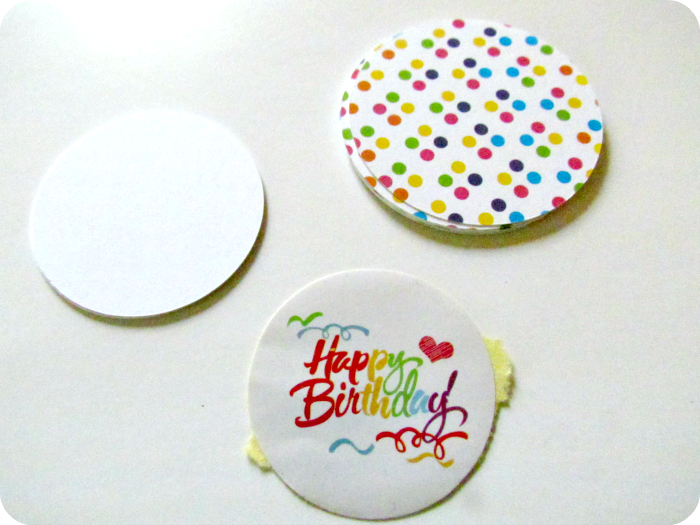 1) Cut out one set of circles from plain paper the same shape as your sticker but just a tiny bit larger. 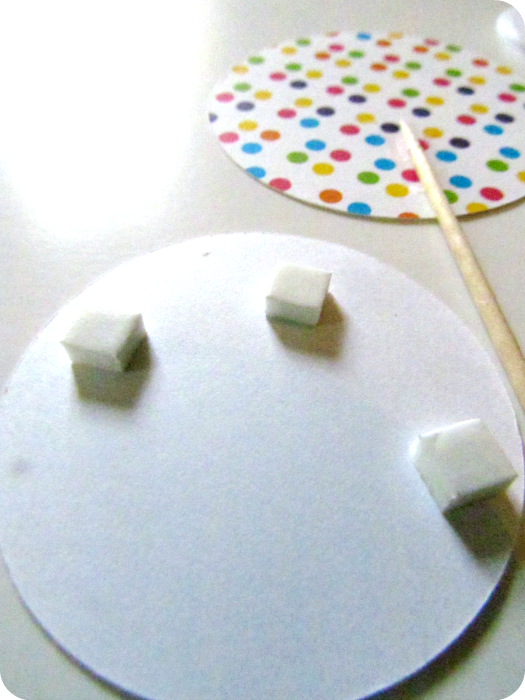 Then cut another set from a patterned paper just a little larger than that. 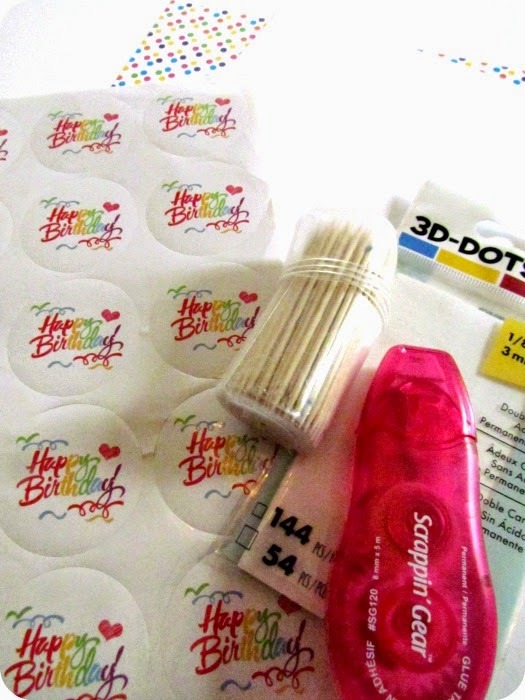 2) Adhere your stickers to the plain pieces. 3) Using a glue runner or crafting glue, adhere your tooth pick to the front of your patterned paper, towards the bottom. 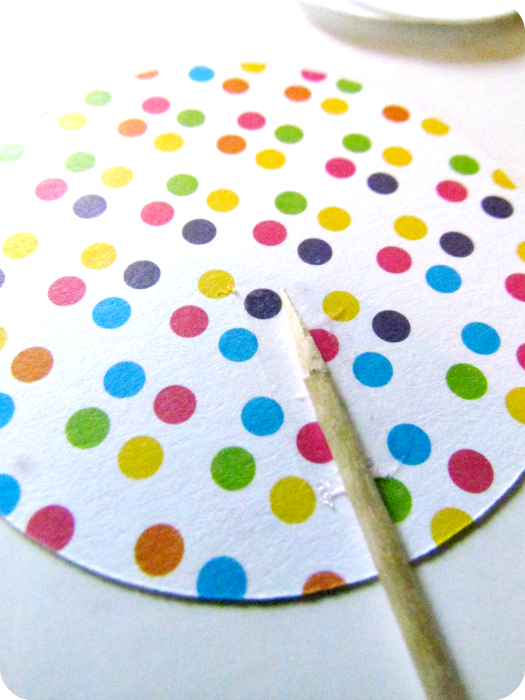 4) Add your pop-dots to the back of your smaller circle and place on top of piece with toothpick. 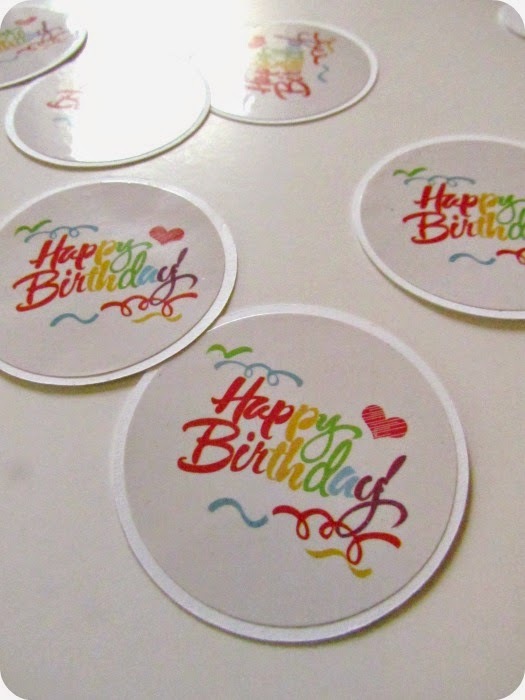 If you have a paper cutting machine, these really do only take minutes to make, perfect for a last minute party add on. You can embellish them by inking the edges or adding glitter, or you can keep it simple and let your stickers to the talking. Super cute - if only I could eat a cupcake! 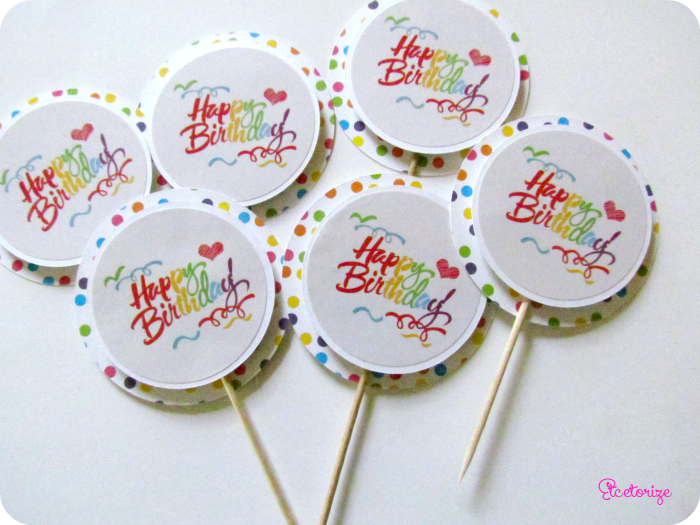 Doesn't matter what age the person is going to be...messages on cupcake picks are a super idea. These are adorable, Tamara! Thank you bunches for linking up and partying with us this week!